I believe in giving people information so they can make an educated choice as to whether they accept my suggestions or not. calcium, magnesium, zinc, boron, selenium, phosphorus, molybdenum, vitamins C and D3 with K2, and natural progesterone. — synthetic progestogen is no use. We Have A Problem With Minerals. Minerals are vital nutrients because as well as doing their own job they are co-factors for other nutrients– like a key that enables the body to access them and use them. So ….a shortage of minerals means that even though needed nutrients are present, the body may not be able to use them. One vital job minerals do is to neutralise acid ash formed when acid-forming foods are digested i.e. proteins, carbohydrates. 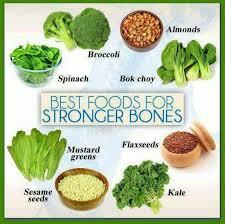 When there is a shortage of minerals the body takes them from the bones. 3 apples/oranges were needed to supply the same iron content as 1 apple/orange in 1940! They found similar losses in the 17 fruits and 10 items of meat tested. “The significant loss of these essential trace minerals……………………….highlights the difficulties in achieving a fully adequate diet with currently available foods…………………………………..
Osteoporosis is a metabolic disorder. There are 2 kinds of disease – infectious and metabolic. Metabolic is where the body fails to function as it should (reasons later) because it has become acidic. So on a simplistic level, the answer is to re-alkalise the body. 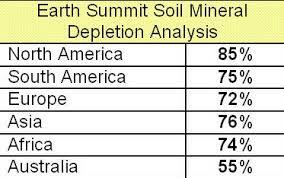 This means we need minerals –macro, micro, trace elements and Rare Earths. As I already said, they are vital nutrients because as well as doing their own job they are co-factors for other nutrients– like a key that enables the body to access them and use them. There’s an article – Metabolic Disorders Vs. Optimum Health – here if you want to read it. When we understand the basic premise of acidic bodies and metabolic disorders, we can start to tackle whatever problem we’ve got. The causes are actually a lot of “Straws” and you know that the final one breaks the camel’s back! Gut clogged up with mucoid plaque and occupied by pathogenic bacteria and fungi, plus parasites. Harmful and questionable chemicals in toiletries etc. Whilst we sleep, the liver’s energy which should be doing its real job of removing toxins made by the body during its natural processes, is diverted to deal with these chemicals instead. Self-explanatory. Need yoga, tai chi, Tapping — anything which brings relaxation and a quiet mind. ******** For more detailed info, I have a number of Articles on health, nutrition etc on this website. Smoking and alcohol adversely affect bone health. Fizzy drinks actually remove phosphorus. High blood pressure tablets and only 3 months of steroids rob the body of minerals. Weight-bearing exercise keeps bones strong. 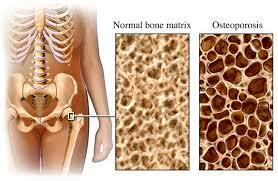 Suggestions if you Have Osteoporosis. By now you’ll have gathered that my health philosophy is Holistic. The body is not like a car where we can deal with a problem in isolation, it’s actually comprised of inter-dependent parts which work in synergy. *I’m reliably informed that when you stop absorbing harmful chemicals every day, in about 6 months the body has got rid of them . So free-up the liver to do its proper job by avoiding processed “food” and switching to non-toxic products. Modere provides the full range. *Clean out the digestive tract because mucoid plaque prevents absorption of nutrients and harbours pathogens and parasites. *Eat 80% green veg and fruit (raw as much as possible), 5% protein, 15% root vegetables and some grains. *Avoid red meat and dairy. – very acid forming, full of anti-biotics etc., plus the calcium is not the right kind for humans and is difficult to absorb. * We need to supplement minerals, vitamins and progesterone. http://www.wellsprings-health.com has progesterone cream formulated to Dr. John Lee’s standard. (I see that they have a free book on Osteoporosis. (I have a recording of Dr. Lee’s Talk on a CD — Contact me and ask for one). North America…..…Calcium Chews —Calcium, Vitamins K2 and D3 from Modere. Phillip Day has an excellent vitamin C Complex in powder form. It needs to be drunk throughout the day because the body doesn’t store Vit. 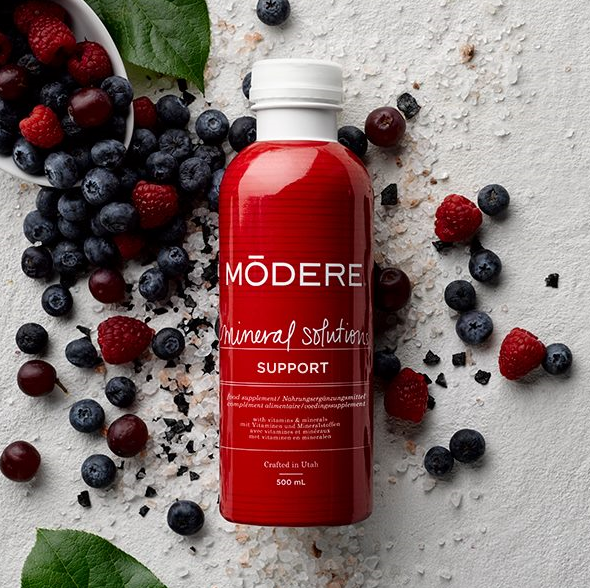 C.
The other minerals are in Mineral Solutions from Modere. Modere also have Green Qi – concentrated “greens” spirulina, wheatgrass etc which alkalise the body. My father fell and broke his thigh bone the year before he died (aged 93). The Pharmacist in York Hospital said the Mineral Solutions and Cal-Sea-Um were superior to what they had, so Dad was to be given them. To the ward staff’s surprise, his leg healed well and quite quickly. —A brisk daily walk — 20 minutes? —Tai Chi. These are some of the Qigong exercises I do. What Can We Do to Help Ourselves to Optimum Health? Diseases like arthritis, diabetes, obesity, cancer, IBS and auto-immune disorders like lupus and multiple sclerosis are affecting so many people today that you could legitimately say that they have reached pandemic proportions. However, they are not diseases that are “caught” and, with all the knowledge and resources available today, no-one should be suffering from them. After all, this is the 21st Century! 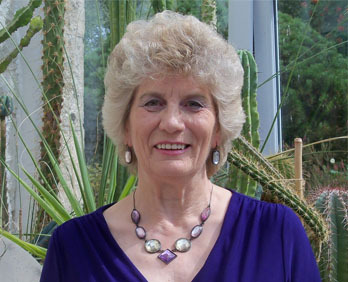 For a long time I suffered from clinical depression, in fact, I had to retire early because of it, but there was a “silver lining”– I was lucky enough to be introduced to people who really understand how to have excellent health. Now that I’m well and have the time, I want to pass on what I’ve learnt about the causes of disease and what can be done to help ourselves to avoid them. I’m a fan of “Prevention” rather than “Cure”. An infectious disease – an acute condition – appears suddenly and is caused by a bacterium or a virus invading the body and we can usually avoid them by having a healthy, toxin free body and a strong immune system. I have only been ill once in the last ten years and that was when the cause of a long period of stress, which had lowered my resistance, was removed. Normally I don’t even get colds. There is a school of thought which believes that when the body needs to clean itself, it uses a convenient bacterium or virus as a catalyst to produce mucus or a fever to expel the rubbish. I think that makes sense because the “germs” are always present yet not everyone catches whatever infection is doing the rounds. Do they? The knee that really hurts one morning when you get out of bed and realise it’s been getting worse for a long time now. The headache which no longer responds to the pills. Realising that you’re tired of feeling tired. The trouser waistband that refuses to fasten. Yet another day when you have to stay home to be near the toilet. These are simply symptoms which the body produces as it tries to tell us that it can’t work properly because something is missing or it’s being poisoned. It is not “at ease”…. it is experiencing “dis-ease”! 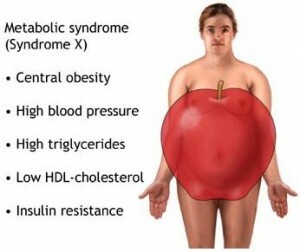 It is estimated that 95% of today’s health problems are metabolic! The good news is that we can do something about it. We just need to know how the body works, what ingredients it needs to function successfully and how to avoid toxins. Is this a tall order? Actually, it’s not. I remember when the series “The Bionic Man” started, I said that I was glad I was biological. I didn’t need lots of money and an expensive engineer to mend my body. It does it itself! About every seven years we have a new body because when we are asleep it uses what we’ve given it during the day to grow and to repair itself. That’s why babies sleep so much. They are growing! Unfortunately, it can only do a good job if we give it the ingredients it needs and we don’t overload it with unnecessary toxins. Here are seven things we can do to help our bodies attain optimum health. Make sure it’s well hydrated by drinking two litres of filtered water, at body temperature, every day. It is vital that we clear the digestive tract of mucoid plaque and ensure that we have the correct balance of bacteria in the gut because, amongst other things, they digest our food, produce certain vitamins and keep the gut wall clean and healthy so that it does not leak and produce metabolic diseases like ADD, ADHD, allergies, auto-immune disorders and cancer. We also need to get rid of parasites. Nourish the body by eating clean, fresh food in the right proportions and combinations and supplementing with nutrients which are missing from today’s food, such as minerals and vitamins. An alkalised body is vital for good health. 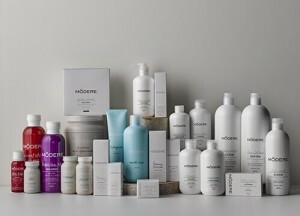 Use toiletries, skin care, cosmetics and home care products which are free from harmful or questionable ingredients. Regularly practise various forms of exercise. Now, it’s up to you to choose! Sickness or Wellness? If you haven’t already done so, why not obtain access to the audios and other downloads by joining our Healthy Homes Club? Click Here!